A wonderful historical holiday tale that includes romance and a little bit of mystery. Elspeth Douglas decides visit her friend in Paris and she starts a relationship with her friend's brother. When he is shipped off to war, she returns to England and falls in love with Peter. Although she has a high social status she decides to become a nurse and return to France to assist the soldiers. I really enjoyed the book. It was full of memorable characters, scenes and a plot that was interesting. This is the first book that I had read by the authors and will not be my last. I highly recommend the book. I have this book in my TBR pile and am now looking forward to reading it. Thank you for sharing your thoughts. This sounds like a fabulous read! And wow! I love the cover!! I like this review of this book the Walnut Tree by Charles Todd. This is just the type of book that I love to read! The story is riveting and very interesting. I would like to read this book to find out everything about what happens to the characters! Sounds like a great book! I love when books are more than just a love story, a like a little mystery too! It keeps you interested! 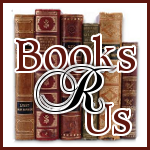 I've been looking for romance/mystery books for my elderly lady friend, who happens to be a WWI buff. She's very sentimental, and this holiday book will be right up her alley! Sounds like a great book to read! I will recommend it to my Mom. i love books like this it got me hooked by just reading the excerpt. Seems like it would be a good read. The setting is perfect to get me intrigued, France. This sounds like a good book. I like books that have a little bit of history to them. Thanks for the review. This might be a book that both my husband and I would enjoy. I like romance and he likes historical!